My favourite fruit is Mango. Packed with great nutrition like Vitamin C I love their sweet juicy sometimes tangy taste. I really missed the Asian Mangoes when I lived in the UK. Now I have found my supplier from India I am set and am buying them by the box. even though the whole family loves them I wanted to make the most of them being in season right now. 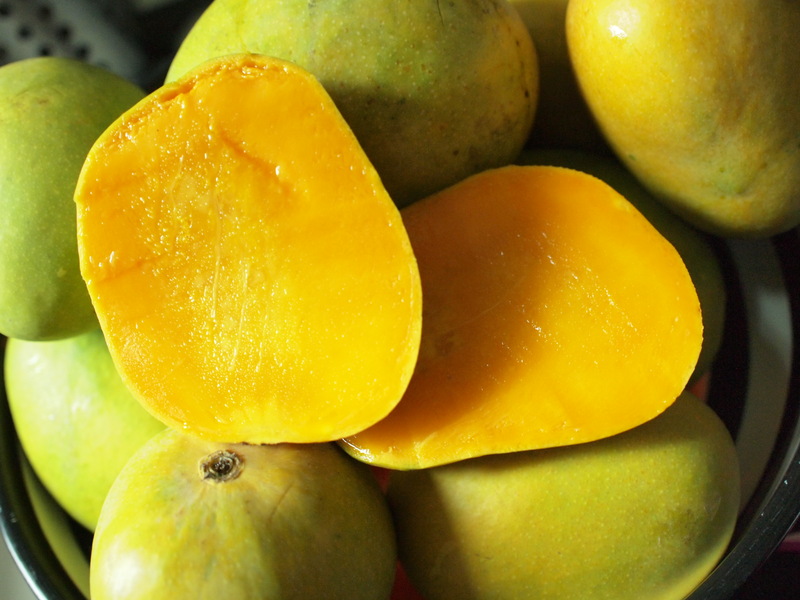 Depending on how what consistancy (rough or smooth) you like your Jam you can either mash the mango flesh or blitz it in the blender with the water. Add to a jar. Mix in the chia seeds and place in the fridge to ‘set’. I’m not kidding it is as easy as that. I love it. Of course you can do the same with any fruit you like! mix it up a bit- I am going make Pina Colada next with coconut and pinapple and a squeeze of lime, Jackfruit, mixed berry and the cherries and lychee season has begun!! So good and so easy! 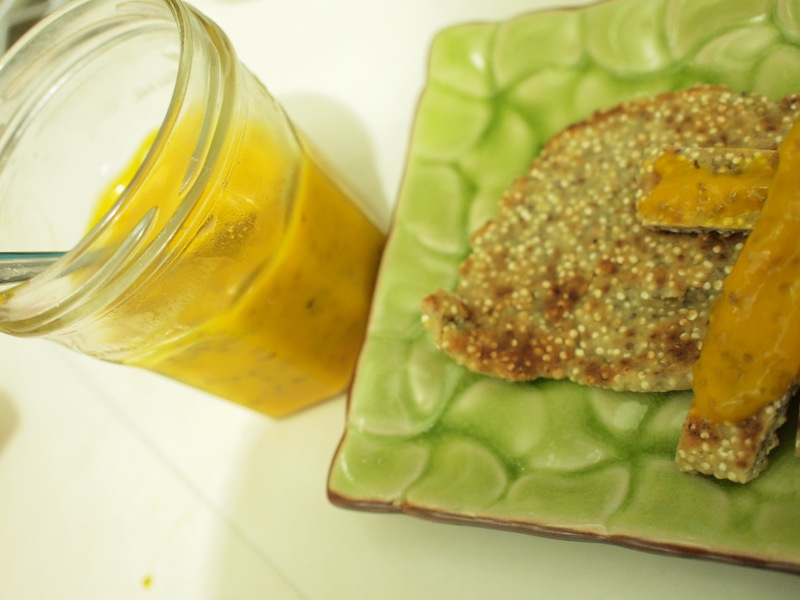 I made this right away, but probably added a bit more chia seeds – it is excellent! I look forward to trying with other fruits too.